It’s that time of year again – my favourite time of year actually. The weather has warmed up, the year is close to ending (which means holidays and work free days! ), and the festivities have begun with cocktail parties and various soirees popping up left right and center. With the amount of Christmas shopping still to be completed, events to attend and outfits to put together for the various events; it’s easy to feel overwhelmed at this time of year. With Christmas only three weeks away, the stress is on to find those perfect outfits that will get you though the work Christmas party, cocktails and canapés with neighbours and friends, as well as Christmas Day. For events such as the annual work Christmas function, corporate end of year soiree, and evenings out with colleagues; it’s important to maintain a polished, yet festive look with your outfit. If you’re normally a skirt, blouse and blazer wearer, then definitely change it up and throw on a gorgeous dress (it’s time to have some fun!). Just make sure that it is suitable for the workplace event that you are attending. A great outfit for this type of occasion (that can also be worn for other events), is a decadent, lace dress with a high neckline, paired with open toe heels, and finished off with statement costume jewelry. Fool proof dress colour options – red, white or black! If wearing lace makes you feel like you’re draped in doilies, then opt for the wrap dress, that works for absolutely any body shape. This style of dress is designed to wrap around at the waist, and enhance your figure. If pants are still your thing, then go all out with a printed style, paired with a simple shirt and statement jewellery and heels. Steer away from anything that is going to overbalance the look. If you’re wearing loose fitting pants, then go for a structured top- and vice versa. When you’re invited to cocktails and canapés with friends or a backyard barbecue with the neighbours, its okay to dress down, but still have a classy, festive touch to your look. For these types of events, you could try a pair of flare or boyfriend jeans, with a fitted top. For a more comfortable option, try a maxi dress or maxi skirt, a loose fitted shift dress as well comfortable shoes. Never forget that costume jewellery can be your best friend, and will INSTANTLY jazz up any festive outfit. If it’s a BBQ event, stick to ballet flats or a pair of statement sandals. Cocktails and Canapés? Go for a wedged heel so that you’re still super comfortable. Christmas Day is about spending time with loved ones, good food, and being comfortable. Whether you’re heading out for an all you can eat buffet lunch, OR you’re hosting one of your own at home, there is a 95% chance that you’re going to be eating all day long! In my opinion, it’s important to feel comfortable on Christmas Day (and maybe wear something that will allow you to eat loads of Christmas ham!). Structured play-suits are always a winner for this type of occasion. Not only will you be super comfortable, but you won’t be restricted from eating! If a playsuit isn’t your cup of tea, then a shift dress, or loose fitted strapless dress can be your go-to. – DO have fun with your outfits. It’s the end of the year, so let loose and experiment with colours, prints, patterns and styles. – DO make sure you dress appropriately for each function. A work event will have a completely different style of dress code and standards compared to a neighbourhood BBQ. Save the short skirts for New Years. – DON’T go over the top with the accessorising. Costume jewellery is great for jazzing up any look, but make sure you’re not overdoing it. When wearing a dress that has a detailed neckline, skip the necklace and instead pop on statement bracelets and rings. 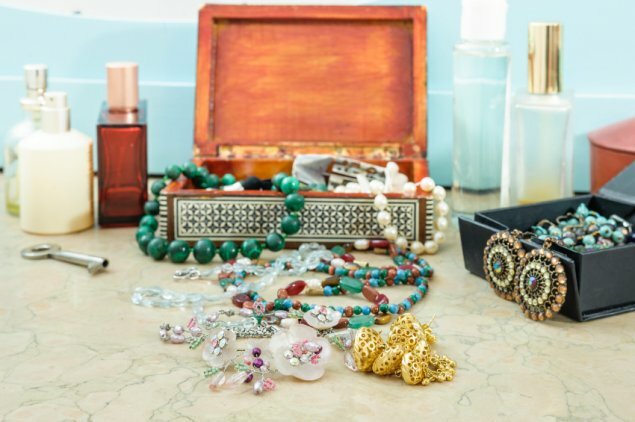 If you’re jingling more than Jingle Bells, then you may need to re think your accessories. – DO make sure you’re wearing shoes that are comfortable and fit you well. There is nothing worse than knowing you’re wearing the wrong heels as soon as you step foot into a party because your feet are already aching! Think ahead about what your day or evening event will entail, so that you know which shoes are the right ones to wear. so a bloke, what should I wear?? 🙂 answer A – you’re a bloke, what do you care?